This long-awaited translation of Das literarische Kunstwerk makes available for the first time in English Roman Ingarden's influential study. 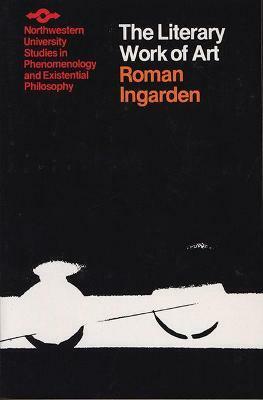 Though it is inter-disciplinary in scope, situated as it is on the borderlines of ontology and logic, philosophy of literature and theory of language, Ingarden's work has a deliberately narrow focus: the literary work, its structure and mode of existence. The Literary Word of Art establishes the groundwork for a philosophy of literature, i.e., an ontology in terms of which the basic general structure of all literary works can be determined. This "essential anatomy" makes basic tools and concepts available for rigorous and subtle aesthetic analysis. Roman Witold Ingarden (February 5, 1893 - June 14, 1970) was a Polish philosopher who worked in phenomenology, ontology and aesthetics. Before World War II, Ingarden published his works mainly in the German language. During the war, he switched to Polish, and as a result his major works in ontology went largely unnoticed by the wider world philosophical community.